Daily Mirror - Sujeewa Senasinghe and Marikkar Just shut up! Sujeewa Senasinghe and Marikkar Just shut up! Another term of Mahinda Rajapaksa and his family would have taken the country towards moral decadence and financial chaos. Indulgence in shortcuts for shortsighted political fame is amateurish and damaging to the coalition that was woven around the UNP and SLFP. They must take a cue from Sajith Premadasa and Navin Dissanayake. Both Navin and Sajith are comparatively young and they too are novices in being Cabinet Ministers. Engaging in vituperative brinksmanship, at best, is amateurish. At worst, it is outright self-destructive and defeats the very purpose of your existence. You have to show them, as Mark Anthony orated about ‘Ambition’ at the slaying of Julius Caesar, that you’re made of ‘sterner’ stuff. 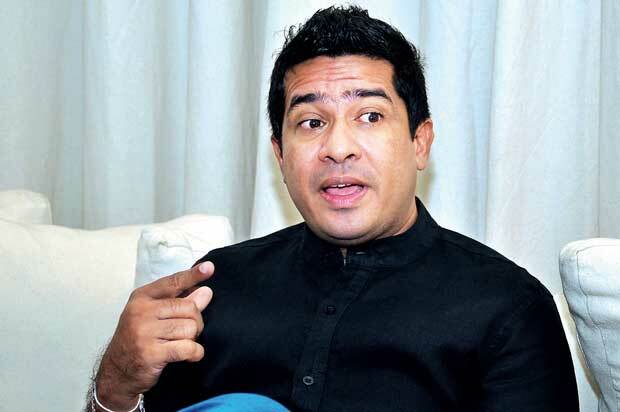 On the other hand, what Ranil Wickremesinghe, the leader of the United National Party (UNP) to which Sujeewa Senasinghe and Marikkar belong, has to contemplate is that the verbal attack aimed today at the President would one day come against him, the Prime Minister. It certainly is no comforting thought for any politician, veteran or novice. A culmination of an explosive process is confronting both the President and Prime Minister. If they are as smart as to defeat the Rajapaksa regime, they sure are smart to avert a crisis at this moment in time. It’s also incumbent upon them, Ranil and Maithripala, to show that they too are made of sterner stuff. The main purpose of the combination between Maithripala Sirisena, at the time the Minister of Health in the Rajapaksa-led Government of the United People’s Freedom Alliance (UPFA), and the UNP and its leader Ranil Wickremesinghe and other civil organisations, not only to rid the nation of a cancerous political regime, but also to usher in a political system of accountability and transparency. In their rush to entrench themselves in power, Ministers of the new government, it seems, paid scant respect for the purposes for which the new government was elected. This happens to all new Governments. Yet the very ouster of the Rajapaksas from the seat of power was a gigantic step. Another term of Mahinda Rajapaksa and his family would have accelerated the maddening pace at which the Rajapaksas were taking the country towards moral decadence and financial chaos. Equally drastic steps they were taking in order to perpetuate a ‘family bandyism’ on lines of effecting coronation of a son whose individual achievements were below average at best were apparent to any reasonable man. The 18th Amendment provided for such a radical turn of the democratic rule into a semi-monarchical rule. But all these do not qualify those who ousted that rule to be unruly the way Sujeewa Senasinghe and Marikkar behaved in the last few days. They must take a cue from Sajith Premadasa and Navin Dissanayake. Both Navin and Sajith are comparatively young and too are novices in being Cabinet Ministers. The exemplary discipline and poise they have been displaying so far speak volumes about their strong character and farsightedness. 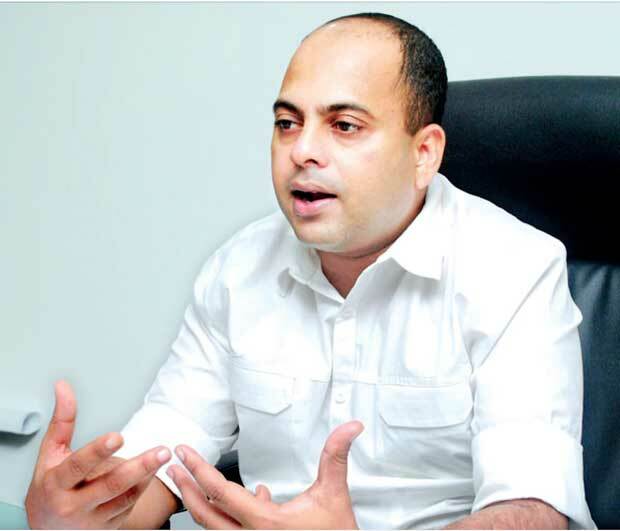 Especially Navin Dissanayake, the elder son of the late Gamini Dissanayake has shown remarkable ability to present even a very complex issue in understandable language to the ordinary voter. He has also shown a positive image of a strong character and not yielding to pressures of modern day politics. Both allies and adversaries of the UNP-led cabinet would be glad to have a leader who was stable and willing to show the art of instigation towards a perfect union of ideas and action. Both Gamini Dissanayake and Lalith Athulathmudali knew that art and were close disciples of their guru J. R. Jayewardene. That art of instigation towards positive policies of generic liberalism and indispensable conservatism and bring about a harmonious juxtaposition of the two philosophies is extremely difficult. Civility and restraint which are essential characteristics of a reasonable leader in the twenty-first century would be able to achieve such an arduous task. On the one hand, Sajith Premadasa is treading a more conventional path; his attempt at creating an image of a leader of the déclassé, the same image that his late father President Premadasa created in the entirety of his life is noteworthy. On the other hand, Navin Dissanayake seems to make a non-doctrinaire approach to modern politics. I will not use this column to back either of these two politicians, Navin and Sajith. Yet, the unreasonably cantankerous tongues of Sujeewa Senasinghe and Marikkar are on display and so is that dangerous breakdown of discipline in some leading spokespersons of the United National Party. A populist-play of politics such as making sensational statements, especially regarding their own Government-leader, and unguarded remarks about their own leader cannot be justified in any context. Living through a cultural-lowering, sustaining an unsustainable system of Government-sponsored programmes and welfare-centred economic structures, a departure from such populist tools of Government has misguided these political amateurs and it shows in abundance. A complete absence of philosophical approach to politics is understandable, as not all politicians have that rare ability to perceive matters of worldly affairs with a sense of aloofness and objectivity and yet be empathetic and sensitive to the nuanced aspects of life. The adverse side of the Sujeewa/Marikkar-verbiage is that close advisers of Maithripala may have told the President that both Sujeewa and Marikkar have done what they had done at the instigation of their Party leader Ranil Wickremesinghe. That kind of interpretation could contribute, especially in a dangerously deceptive profession such as politics, to any interpretation on the subject in question an unkind one, against the Party leader of Sujeewa and Marikkar. That is why political ‘podians’ like Sujeewa and Marikkar should be more careful; they should be able to express their anger and frustration without betraying their inner preferences. The current impasse between President and Prime Minister is causing a tremendous amount of uncertainty among the supporters of the voters. We are on the brink of an election. Whether it’s a local government or major one, in the context of a coalition government, all partners in the coalition must provide a comforting image to the voters. When that comforting feel is absent among the voters, it could mean either a conversion from one party to another or voter-apathy, which would make him stay at home without going to the polls on the election day. On paper, the UNP should have an easy chance almost in every election district except in the North and East. But elections are not fought on paper. They are battled on gruelling fields of character assassination; they are contested on a hostile terrain of vituperative verbiage; their contestants take no prisoners; it’s indeed a very intimidating and unfriendly series of mistakes and gaffes, exposures of past political stances taken by the respective contestants. Yet the concept of the ‘party’ matters and it does matter a lot and in a very decisive way. The voter is waiting to see as to who blinks first; who is advancing and who is retreating. Against such a punishing backdrop, the unity of the political entity, which one contestant represents is of critical value.What Sujeewa Senasinghe and Marikkar have done are immeasurable damage to the UNP and its leader. On another plain, Maithripala Sirisena has an inherent right as President of the country to expect, not unquestioned loyalty but conditional and decent fidelity to the office of Presidency. Sujeewa and Marikkar should have exercised that aspect of decency, propriety and civility. In the context of warfare, political or military, one must never attack his superior unless he is sure of destroying the superior. Because if the superior remains in the arena, though defeated, he still remains the superior and holds sway over the subordinate officer. That is incredible foolhardiness on the part of Sujeewa and Marikkar. They do not learn these nuanced lessons in schools of formal education but the adverse fields of political rivalries. They had better learn these lessons the hard way. Otherwise, they become not even footnotes in the history of Sri Lankan politics; they become trash. I’m sure, both Sujeewa and Marikkar don’t want to be in that unholy category. Yet, the bond between the two leaders of the country, Maithripala Sirisena and Ranil Wickremesinghe, is increasingly becoming loose and is on the verge of bursting asunder. Such a disintegration of a carefully woven coalition between the two main Sinhala-led political parties would be a tragedy of immeasurable proportions. There is only one way in which this political marriage between Maithripala and Ranil could be salvaged. Both of them must meet without their advisors. Just one to one conversation could save it, provided they sense the need for it. Efforts that were put together to defeat one of the most corrupt and incorrigible regimes headed by the Rajapaksa family should not be allowed to go to waste. The unbelievable lies and half-truths expressed on the Joint Opposition (JO) platforms would not go ignored by the discerning voter. It did not happen in 2015 and won’t happen in 2018. “When you’re dealing with frauds and liars, listen more to what they don’t say than what they do.” It applies to the Rajapaksas in the most appropriate manner. What the Rajapaksas and their henchmen-parliamentarians thunder from their political platforms can be heard. But what they don’t utter, the uncivilised manner in which they treated their opponents, the gross corruption they themselves indulged in cannot be heard because they don’t speak about them. That is what the voters need to hear. If they don’t hear, they need to fish them out and find them for themselves.